Read my lips: No new taxes! Jobs for all! Free education! More babies kissed! Politics is a hell of a job, and usually best left to the parasitic members of society. It’s a career that requires blind support, a lack of facts and a keen eye for burying the truth. And in Citizens Of Earth, you’ll be using all of your filibustering power to help save the day. Citizens Of Earth starts easy enough. You’re the newly elected vice-president of the planet, and man oh man was that first day in office a real killer. Naturally, you need a break after that taxing introduction to politics, and a party by your side. Thanks to nepotism not being illegal yet, you grab your doting mom and halfwit under-achieving brother and set out for a day of fun, relaxation and planetary annihilation. Political protests! Coffee beans running amok! Opposition party comments on the verge of slander! 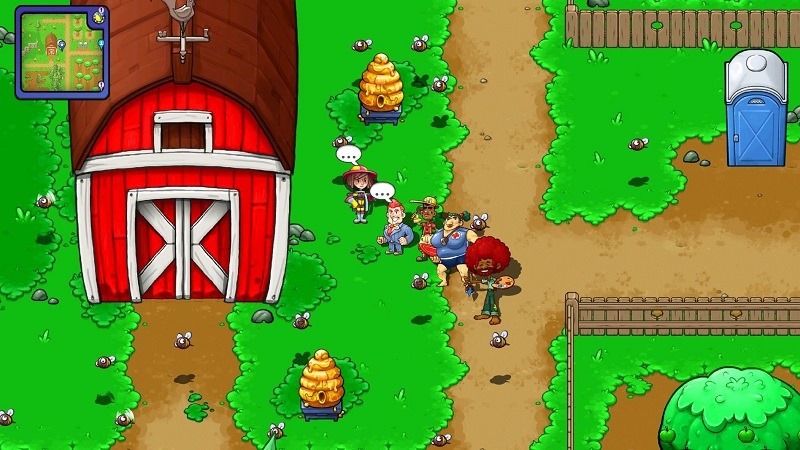 It’s all a day in the park in Citizens Of Earth, a game which carries plenty of influence from that classic SNES game, Earthbound. You’ll be recruiting new party members throughout the game, each with their own specialty. Your mom for instance can activate the mother-in-law gene in her DNA code, using a Nag command to knock down self-esteem and hit points, while recruiting a Rastafarian musician makes everything irie, mon. 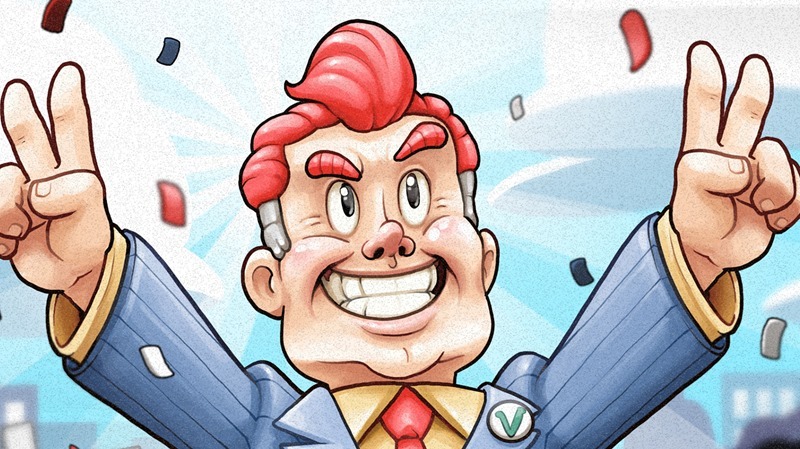 The VP himself has zero combat skills, but he’s one hell of a motivator and recruiter, as you’ll need to use his people skills to finish side-quests in order to gain new recruits. It’s a simple, but effective system. Recruitment itself opens up more of the game world, while also dishing out more exposition and story to an otherwise oddball world. 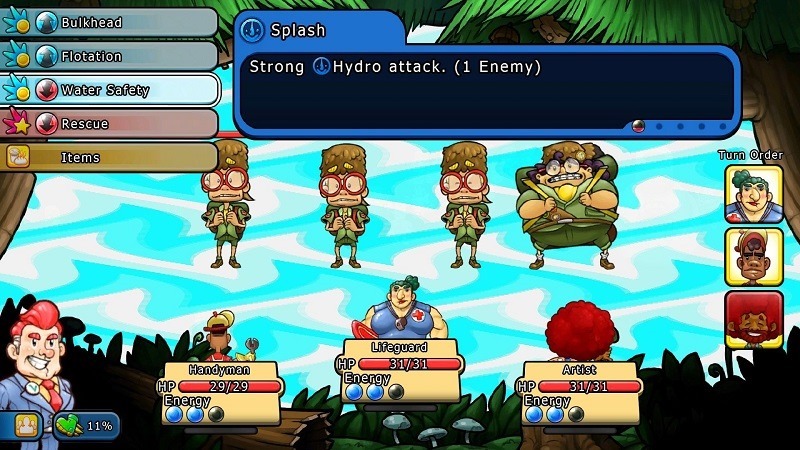 And you’ll need those citizens, as they can help solve several environmental obstacles in addition to their combat abilities. And that’s where the game shines. Each citizen feels unique, a character that could easily carry the game on their own. Whether its your doting mom or a hobo with habits that are filthier than a petrol station rest stop, they all sparkle with personality and wit, adding to the experience. When it comes to gettng your knuckles dirty, combat itself is a reliable mixture of old-school RPG gameplay and a new system wherein citizens must conserve energy in order to unleash heavier attacks. It all comes down to managing that energy, using it at the right time in the attack order. Where the game struggles however, is in the pacing department. The world of Citizens Of Earth is swarming with enemies, like flies at a fish braai. Many enemies can be avoided, but the design proves to be far too populated with foes most of the time. 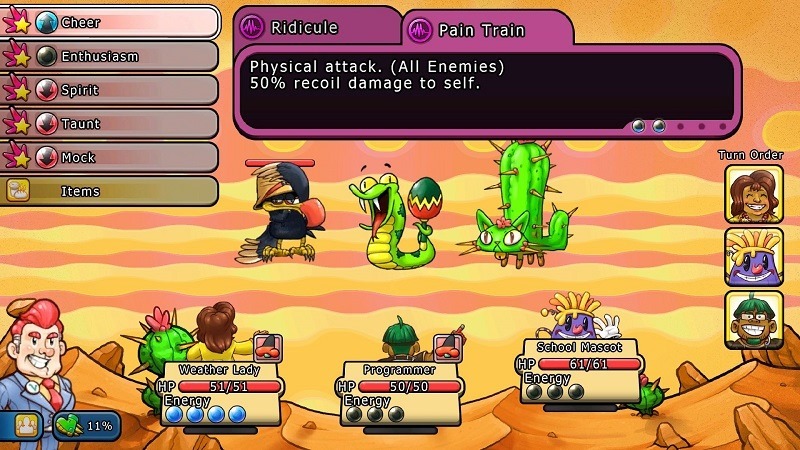 Once you reach a higher level in the game, lower-level enemies do their best to avoid your fists, but you;re still facing areas that are massively populated by high-level encounters. It doesn’t help that the game doesn’t seem to have a sense of direction either, with obtuse mission objectives that slap your hand away instead of gently nudging it in the right direction. It’s a very assumptive structure, that makes for frustrating back and forth exploration through the hordes of enemies. 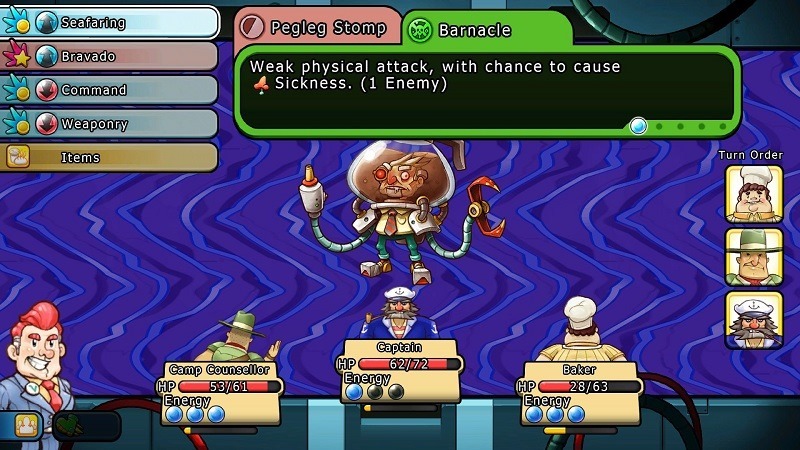 The game does however make up for several gameplay shortcomings in the writing department, that shines with wit, solid voice-acting and an overall quirky art-style. The game itself won’t tax your hardware, running at a smooth pace consistently. 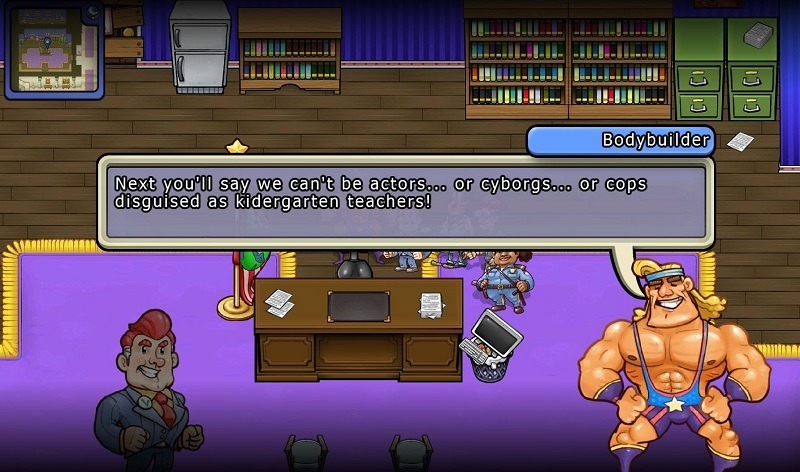 Beneath the frustrating design decisions and pacing issues, there’s a solid game to be played in Citizens Of Earth. 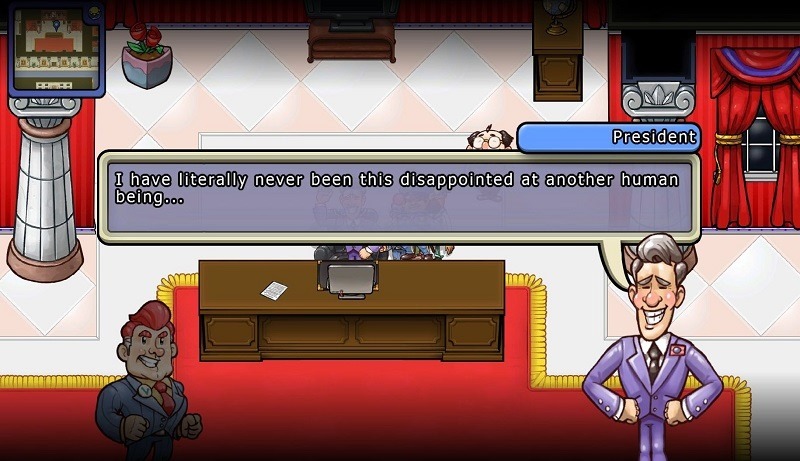 It’s a game that wears its Earthbound influence proudly, dipping into a well of nostalgia. It’s going to have a term in office that is highlighted by grinding gameplay and oddball structure, but dammit, it’s hard to not love the charm that Citizens Of Earth oozes. Previous article Should all multiplayer games be free-to-play?